A magnificent evening of music. When Chance the Rapper hits the stage, you can’t help but smile. The Chicago native’s happiness is infectious, something that's obvious when you see him live, jumping around the stage like a beam of light. With his latest feature-heavy LP, Coloring Book, comes a collection of soulful rap covering everything from his faith to his new role as a father to his ever-changing feelings on drug use. Now, the “Blessings” performer is bringing these songs to life on The Magnificent Coloring World Tour, which includes muppet-like fictional characters who interact with the rapper onstage. Our favorite of all his animated sidekicks? Carlos, a giant lion, who acts as the rapper's spirit guide throughout the show, referring to him as “Big Fella” throughout the night. Basically, think of Carlos as the Mr. Miyagi to his Karate Kid. 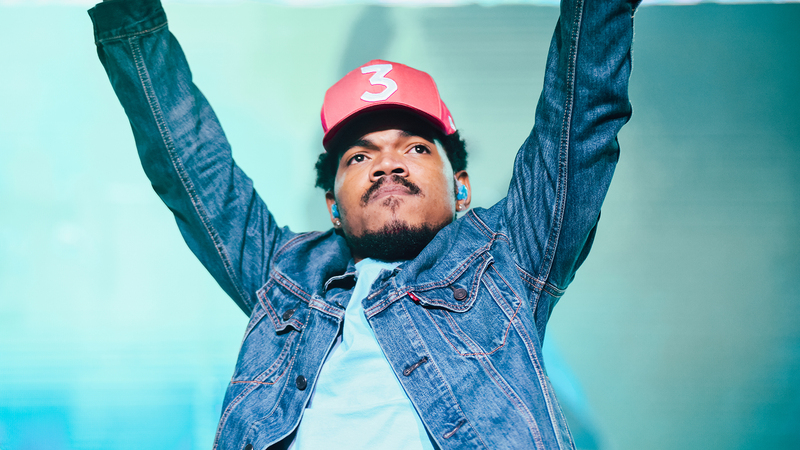 Chance serves up a jam-packed setlist with tracks from Coloring Book, as well as tunes from his three previous mixtapes. We saw the “Same Drugs” singer give a fantastic performance in Houston and were able to capture it all for you. Between his positive vibes and incredible stage presence, it was unforgettable night. Check out our photos of Chance The Rapper below and don’t forget to track him on Bandsintown so you don’t miss this concert in a city near you!